Yep that’s right. After a week of shopping for equipment and vehicles, slowly nesting in our spot at the manager’s site, and celebrating a quiet birthday, we get snow flurries on our first day of relaxation since we’ve been here. As you can see, the is not a problem. The cold is. We are not acclimated to cold weather. 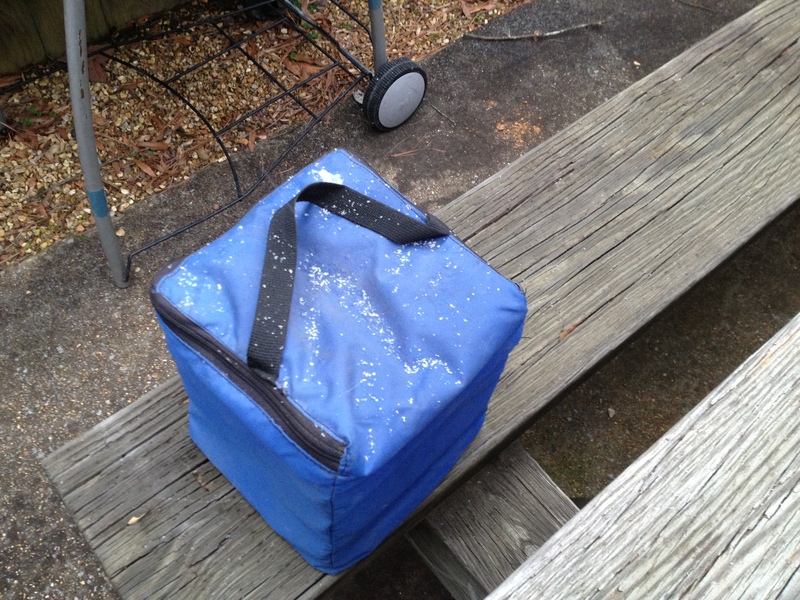 Today the high temperature was 39. Tonight we will have 8 to 10 hours of below freezing temperatures. 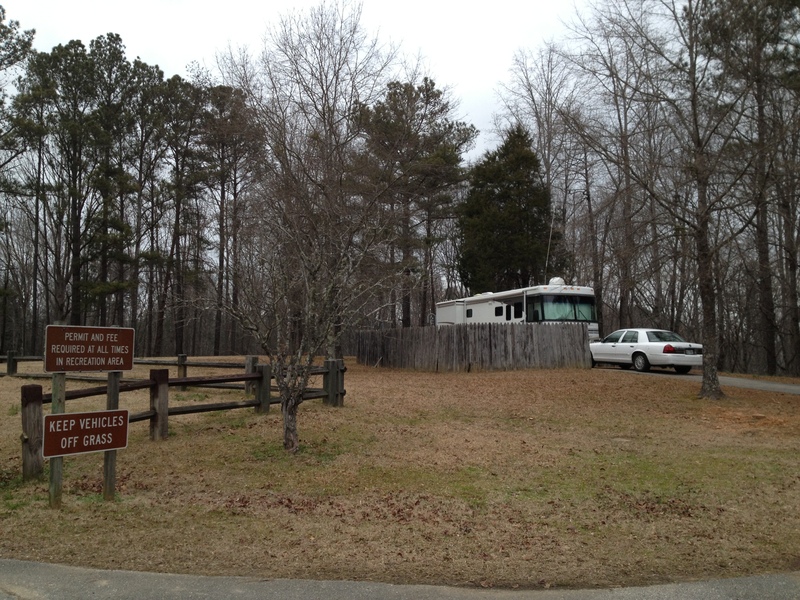 We have a large site near the entry of Clear Creek Recreation Area. Here is the view from the front door. That is the entry station you see there. This view is as you approach the entry station. Clear Creek has 109 sites for RVs and tents. This is one of the premium sites that backs up to the lake. Don’t be fooled by the sun and shade. It was still cold when I took this photo. 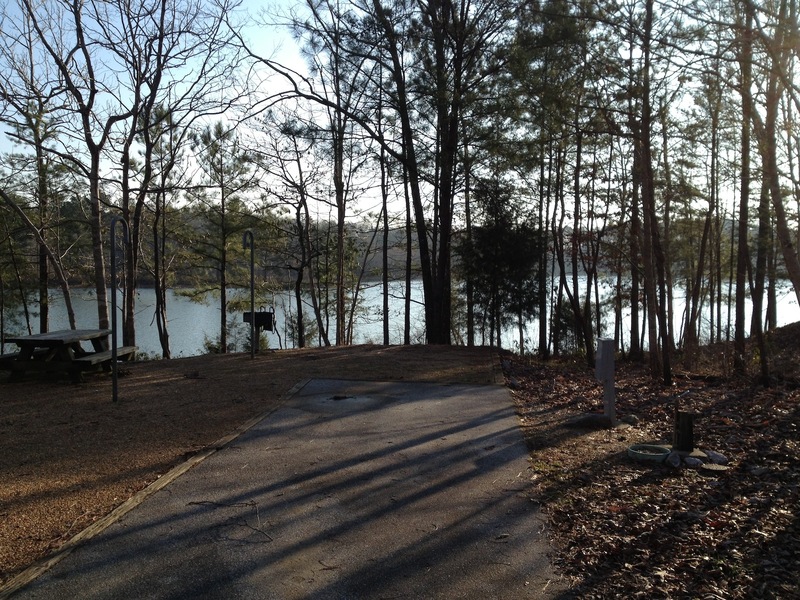 Corinth Recreation Area is about 30 miles or 45 minutes on the other side of the lake. We will have three camp groundmanager couples at this site. 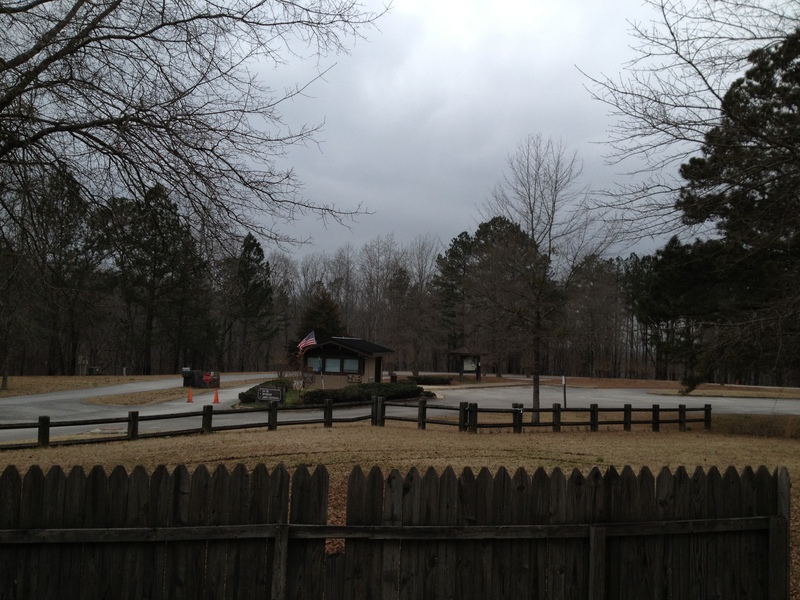 Corinth has 60 RV and tent sites. 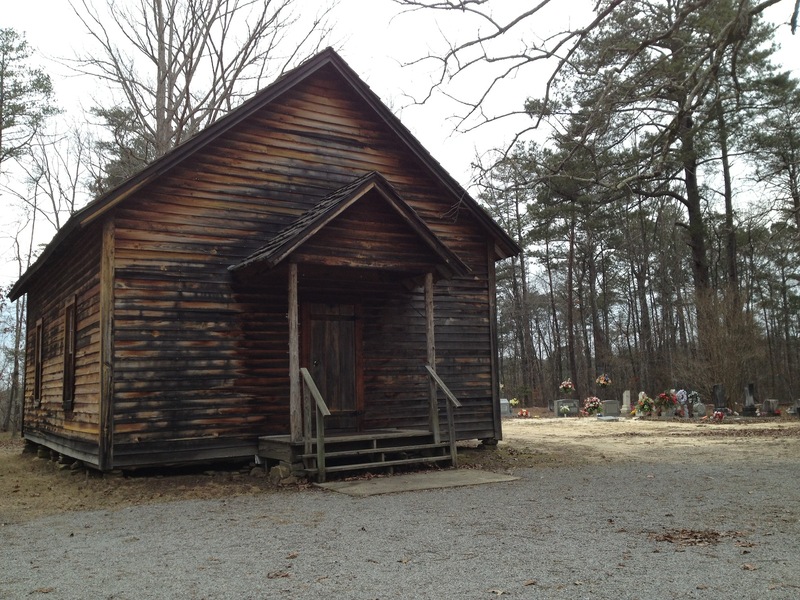 Before the gate house of Corinth, there is a very old Baptist Church on the side of the road. It was built in 1884. There is an old jail house in the area I have not found yet. That will come later when we have time. Our regional managers arrived today. Tomorrow we will review what we’ve done and start the training. Both parks open Friday March 15th. We have lots of work to do and little time to get it done. By the time we open both parks on the 15th, we will have 6 campground manager couples trained to take care of the day-to-day operations. Our regional managers will be with us until March 15th. We are looking forward to moving ahead on this project and are excited to work with new people again. Now that evening is upon us, the temperature is dropping. I’ll let you know how we did with our coldest night. Thanks for stopping by. Y’all come back now.